Iceland Seafood International is delighted to announce its purchase of Oceanpath Limited the number one fresh fish company in Ireland. The acquisition marks a significant step in Iceland Seafood International strategy of delivering strong organic growth combined with strategic acquisitions of first rate seafood companies into the group. Iceland Seafood International has agreed to purchase 67% of Oceanpath Limited Group with management retaining a 33% share. Iceland Seafood International hf (ISI) and Oceanpath Seafood Limited (OSL) have come to an agreement on ISI’s proposed acquisition of the company with purchase of 67% of the outstanding shares in Oceanpath Limited Group (Oceanpath). ISI has now completed its legal, financial and commercial due diligence process. This process included discussions with key parties essential for the continuing operations of Oceanpath with this being successfully finalized today, 13th March 2018. Completion of the transaction is expected to take place as soon as practicable and within March once the parties conclude definitive share purchase and shareholders agreements, and the relevant conditions therein have been fulfilled. 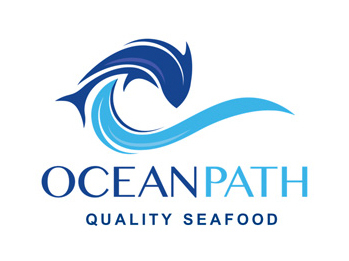 Oceanpath is the largest fresh seafood processor to Irish retailers, offering fresh and smoked seafood to retail customers and wholesalers in their local market. The group operates two factories, Oceanpath which sources, processes and sells fresh and frozen seafood and Dunn’s of Dublin established in 1822, an iconic premium retail brand best known for its smoked salmon products. Under the current leadership the company has shown excellent growth and profitability in recent years. Expectations for revenues in the current financial year (ending 30th April 2018) are circa €33-35m, generating normalised Profit Before Tax of €1.8m -€2.2m up from €30.9M revenue and €1.4M profit before tax achieved the year previous for the period ending April 2017. It is hoped the acquisition of Oceanpath by Iceland Seafood International will deliver a strong partnership that delivers further strong organic growth in years to come. Oceanpath is currently owned by the Ecock family. Alan Ecock is the largest shareholder and will continue as Managing Director of the business, whilst his sons, Ken and Trevor, will continue to be employed as Commercial and Production directors respectively. According to the agreement the purchase price for the 67% stake in Oceanpath will be in the range from €12.4m to €13.4m on a debt and cash free basis. The final price will be subject to actual profitability of Oceanpath for the current financial year ending on 30th April 2018 and the following 12 months until 30th April 2019. Of the purchase price, €7.4m will be paid at completion with further payments due by August 2018 and August 2019. The acquisition will be financed from cash although a €5M long term loan maybe concluded in conjunction with the cash offering. Alan Ecock, Managing Director of Oceanpath Ltd. It is very exciting for us at Oceanpath to partner up with Iceland Seafood International. The groups vast experience in the international seafood marketplace affords us the opportunity to expand our product range whilst maintaining the highest standards of service to our customers. The Irish seafood marketplace has seen positive growth in the last few years. Our aim is to be at the forefront of this trend in years to come and to continue to serve our market through innovation, strong sourcing and focus on high quality products for our customers. We at ISI continue our journey of being a provider of premium seafood products through strong businesses in their local markets. Oceanpath’s market position, ethos and strong management team fits well with our vision of matching local knowledge with international reach, through product, processing and sourcing opportunities. We look forward to working with our new partners and welcome Oceanpath into the ISI family.